Capturing & Leveraging “the Voice Of the Customer” (VOC): Are You Reactive or Proactive? If capturing and leveraging “the Voice Of the Customer” (VOC) is one of the most difficult challenges for financial institutions, it also became increasingly critical and it is a tremendous driver for differentiation today. We can distinguish two key approaches of VOC projects: being reactive or being proactive. The later offering the biggest opportunity to change brand perception and increase market share, if you are successful. Virtually every single financial institution I’ve met in the last 6 months is looking for an online conversation monitoring solution. eReputation is fashionable, even in banking and insurance. 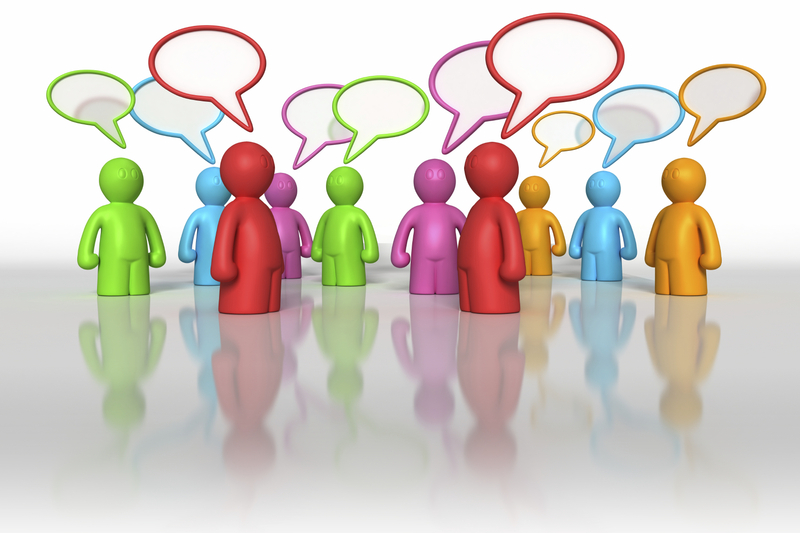 If it is important to listen, and be aware of online conversations on your brand, your products and services, and your industry, monitoring what is being said on the web presents a few major challenges such as dealing with the high volume of content, the significant level of noise, and the debatable authenticity of the contributors. By experience, financial institutions have limited resources, so it is critical to identify the most important conversations and comments. And if it is relatively easy to keep track of the number of occurrences; it is more difficult to assess their real level of influence and importance. And who are those contributors? Are they real clients or competitors? Maybe consultants or personal finance gurus? Afterwards, you need to design and implement a response strategy, and ideally an outreach strategy whereby you, as an organization, officially join the conversation outside your own online presence and social media assets. Very few financial institutions have started to do so. So even though you managed to identify the 50 most important comments (this is just an example, the number varying tremendously depending on the size of your organization), how do you plan to respond? Do you systematically respond and capture the contributors and enrich a list of key, most influential influencers (detractors or advocates, clients or bloggers or journalist or consultants)? Lastly, you are aware of valuable positive and negative customer comments or behaviour online and you capture that data somehow. The data is unstructured so it is tricky to process and analyze as collected. Can you use it as part of your strategy or marketing campaign? Can you really act upon those newly acquired insights and make a business decision such as closing a business account of a gay entrepreneur like Citi and last year’s Fabulis story? Or cutting off your allowance to one of your claimants who posted some fun pictures on facebook like Manu Life? This is one of the slides I used in the presentation I delivered in London in March 2011: “Innovation, Customer Experience and Social Media“. Most financial institutions are concerned with negative feedback, hence they are not too interested in capturing comments and reviews from their customers. But you need to realize that your customers have access to multiple ways to express themselves these days. Something which they will do – they will be vocal. You need to ask yourself: wouldn’t you like to be aware of negative comments on your own turf in a close and secure environment instead of finding out like Bank of America that a video posted by an angry customer had been viewed hundreds of thousands of times on youtube? Wouldn’t you prefer to be perceived as a company which listens and cares? Ideally, wouldn’t it be nice to let your customers do the talking and promote your products and services, especially the most profitable and popular ones such as online banking or eStatements which have an immense impact on your business? Nowadays studies demonstrate that unarguably people trust people’s recommendations, even strangers, more so than companies and their marketing messages. Even if your products or services really are the best, there are still words you can’t use as a brand or being perceived as not credible. On the other hand, your customers would use their own words to talk about you, which would appeal to your prospects. For instance your customers have their own reason not to use online banking: it seems complicated, not safe… If you could show them positive feedback from online banking customers who used to be sceptical and shared similar concerns, how much more successful do you think your adoption campaigns would be? So listen to your clients, but social media style. Customer focus groups are not necessarily representative of your customer base, they are expensive, punctual, somewhat directed, hence limiting for the contributors… Think real-time, process, Long Term engagement, and innovation to improve your products and services or co-create new ones, improve marketing, improve satisfaction and drive advocacy thus increase retention and market share. Being customer centric is part of your strategy? Put your money where your mouth is! Start with the basics, proactively reach out to your clients and urge them to share their feedback and their suggestions. Companies likeAmerican Express, USAA or GEICO use customer reviews to improve their products and services, fine tune their marketing message, increase customer retention and acquisition. Leverage social media (blogs, videos, facebook, twitter…) to involve your customers and your key market in your product development such as Webank which asked Italian people to help them design their iPad application (the Wepad project) or Danske Bank which asked its clients on facebook to share their ideas to improve their mobile banking application (the idebank initiative). 4. Display: display the feedback in an interactive and relevant fashion in as many channels as relevant: online (your public site, online banking, your social media presence), on mobile, or on traditional channels such as the branch network, the Press or TV. It requires time, energy, skills and expertise, a combination that by experience financial institutions don’t have. So work with the experts, contact companies like Bazaarvoice the leading provider of social intelligence solutions. Disclosure: I’m currently Sales Director EMEA for FS at Bazaarvoice, AND I’m genuinely convinced there is a huge, vastly untapped, opportunity for proactive and secure VOC collection in banking and insurance. Don’t hesitate to call me (0044 7736 446 357), send me an email (christophe.langlois@visible-banking.com), or DM me (@Visible_Banking) to talk about about twitter, facebook, customer reviews & Voice Of the Customer (VOC) projects in banking, financial services and insurance..